The spirit and life of our Parish family has never changed in the 150 years of our church’s history. Our community of faith has always been a place of welcome, giving and caring. We believe our parish is a sacred place where human and divine meet, where people of all ages gather to grow in the knowledge and love of our Lord Jesus Christ. 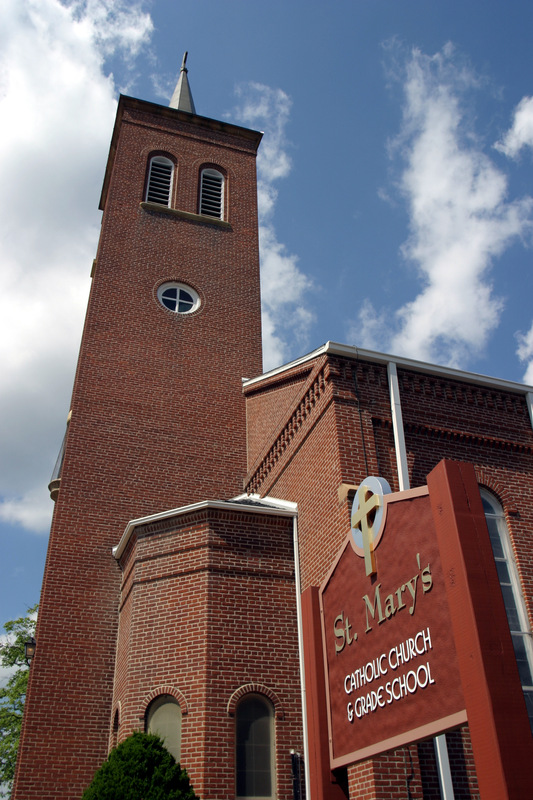 Ever since St. Mary’s church was built in 1868, developments have been made over the years to help us grow spiritually. In 1956 we became a Cathedral in the newly established Diocese of Springfield-Cape Girardeau. In that spiritual light, we have made renovations to our church to help each of us grow closer to God and lift our prayers to our Heavenly Father. The Annunciation mural behind the altar represents the name of our parish, and reminds us of the beauty of Mary’s Fiat to God the Father. The Mural of the Two Trinities, Earthly and Heavenly, draw each of into the family of God, and surround us with His love. The Maria Welcome Room on the south side of our entrance invites people to our community, provides room for bridal parties and gathering place for processions. The main confessional is located on the north side of the entrance. We have a Religious Gift shop located inside our Parish Office Building. It is open during Weekday business hours 9 AM—5 PM. Our parish also supports our Catholic grade school, Pre-K—8th grade. We invite you to come to Mass, spend time before the Blessed Sacrament and if you have any questions, please do not hesitate to contact us, 573-335-9347.